Only 5 LT Trail Boss models left in stock! 4x4, Rear Air, Onboard Communications System, Aluminum Wheels, TRANSMISSION, 8-SPEED AUTOMATIC, ELEC. AUDIO SYSTEM, CHEVROLET INFOTAINMENT. ENGINE, 5.3L ECOTEC3 V8, CONVENIENCE PACKAGE WITH BUCKET SEATS. Hitch. CONVENIENCE PACKAGE WITH BUCKET SEATS includes (A50) bucket seats, (D07) center console, (CJ2) dual-zone automatic climate control, (A2X) 10-way power driver seat including power lumbar, (KA1) heated driver and passenger seats, (KI3) heated steering wheel and (N37) manual tilt-telescoping steering column; Crew Cab models include (R7O) Cloth Rear Seat with Storage Package, CONVENIENCE PACKAGE II includes (UG1) Universal Home Remote, (A48) rear sliding power window, (KI4) 120-volt power outlet, (KC9) 120-volt bed-mounted power outlet, (IOS) Chevrolet Infotainment System with 8 diagonal color touch-screen with (MCR) USB ports, (U2K) SiriusXM Radio, (U2L) HD radio and (UVB) HD Rear Vision Camera Includes (UQA) Bose Premium Sound System. ), SEAT, UP-LEVEL REAR WITH STORAGE PACKAGE 60/40 folding bench for Crew Cab models, includes full-length bench seat, seatback storage on left and right side, center fold out armrest with 2 cupholders, full cab width underseat storage, (includes child seat top tether anchor), AUDIO SYSTEM, CHEVROLET INFOTAINMENT 3 PLUS SYSTEM 8 diagonal HD color touchscreen, AM/FM stereo, Bluetooth audio streaming for 2 active devices, Apple CarPlay and Android Auto capable, voice recognition, in-vehicle apps, cloud connected personalization for select infotainment and vehicle settings. Dealer upgradeable to embedded navigation. Subscription required for enhanced and connected services after trial period. 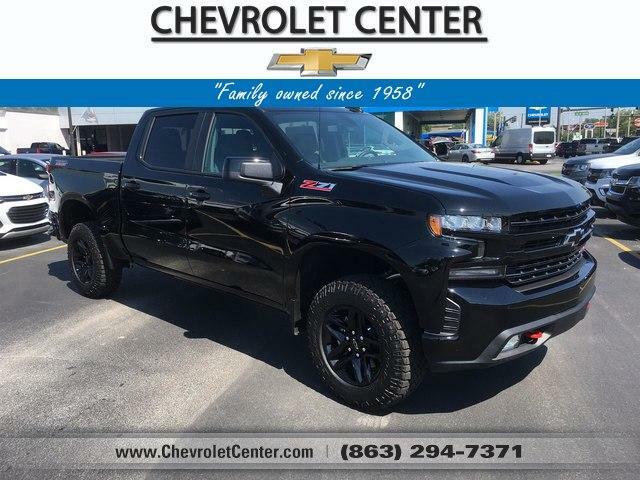 TheCarConnection.com explains The Silverado is exceedingly comfortable on the road, and its steering is nicely weighted and direct..